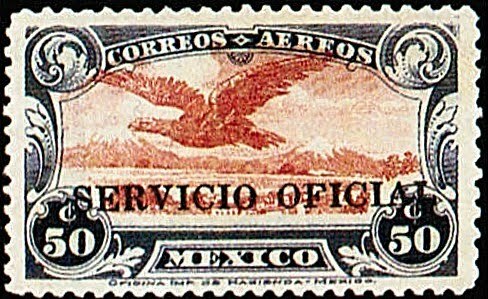 In 1932, Mexico overprinted its 1927 50c Dark Blue and Claret airmail stamps "SERVICIO OFICIAL," for government use. 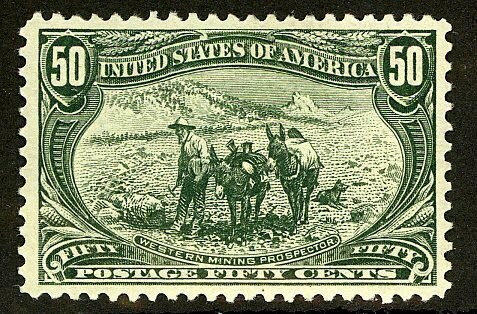 The vast majority of the stamps overprinted had watermarked paper (Scott #CO19) , but one hundred stamps of the 1922 issue (same design, but on unwatermarked paper), were also overprinted by accident, creating a very scarce stamp (Scott #CO18), which Scott '10 values at $ 1,000.00 for both unused ($ 1,600.00 for NH) and used. 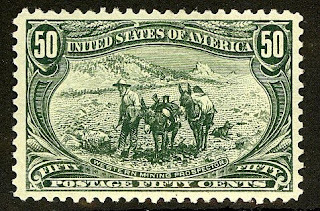 The usual caveat for overprinted issues applies: purchase the stamp conditional on receiving authentication, preferably from the Mexico-Elmhurst Philatelic Society (M.E.P.S.I.). I believe this stamp has been unjustifiably neglected because it's a back-of-book issue, and because it's an unwatermarked paper variety. 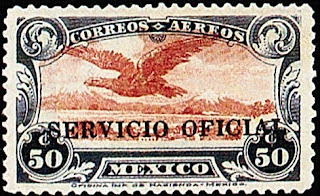 These factors will diminish in importance as the stamp market develops in Mexico. With a population of about 109 million, Mexico has had consistent annual GDP growth of between 3 and 5%. It has a diverse and developing economy, but modernization remains a slow and uneven process, and current challenges include addressing income inequality and corruption, upgrading the infrastructure, and reforming tax and labor laws. Despite its problems, it is likely that Mexico will experience significant economic growth over the coming decades.